Elon Musk’s ambition knows no bounds. The Tesla entrepreneur has already disrupted the electric car market. And his SpaceX project is slashing the cost of space travel with the use of re-useable rockets, ending the hegemony NASA held for so many decades. SpaceX has announced new, ever-more ambitious targets for the Elon Musk-owned space company. SpaceX will this year attempt to break the launch record it set in 2018. Last’s year record stands at 21 successful missions, and President Gwynne Shotwell is confident 24-28 launches could be achieved. 2019 will undoubtedly be a significant year for SpaceX, due to the breadth of mission planned. These range from the SpaceX Crew Dragon transporting astronauts and Falcon Heavy missions launching several commercial satellites. And additionally, SpaceX will also be involved with 18 government and commercial missions before the end go the year. The SpaceX program has been unquestionably successful so far, boasting 40 Falcon 9 and Falcon Heavy within two years. 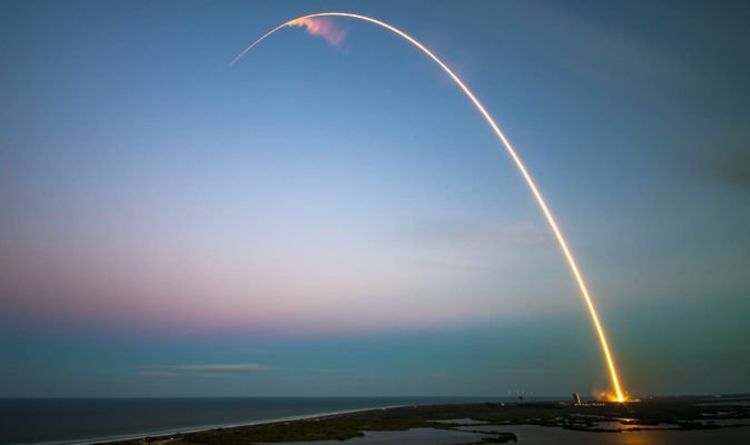 This averages approximately one successful SpaceX launch every 2.5 weeks. In 2017, SpaceX demolished its own prior cadence record with 18 launches, a record the company’s exceptional workforce summarily proceeded to annihilate the next year with 21 successful missions. Most of those 40 missions were the result of competitive, commercial contracts that SpaceX has been extremely successful at winning, thanks largely to the nearly unbeatable pricing of Falcon 9 and Heavy. As a commercial agent, SpaceX understandably plays its long-term strategy close to the chest, rarely revealing more than a blanket status update. Our to the general paucity of manifest information, the closest approximation to a real SpaceX manifest is maintained by members of spaceflight fan communities. However, compared to SpaceX’s claimed manifest of more than 100 missions at an average cost per launch of $120M (£9.5billion), crowdsourced SpaceX manifests – based on mostly public information – show fewer than 60 possible launch contracts between now and the end of 2024. So intriguingly, given SpaceX’s confident use of “secured” and “on contract”, the massive gap between public manifests and SpaceX’s claims suggests more than 40 launches are top secret. The most likely explanation about these mysterious missions is Starlink, SpaceX’s global constellation of thousands of satellites. CEO Elon Musk has recently gone on a firing spree, cutting multiple senior managers of the nascent satellite program to install new managers with a singleminded goal: begin launching operational Starlink satellites by mid-2019. A little over six months after Musk’s Starlink shake-up, SpaceX has pivoted towards rapidly building and launching around 1,500 first-generation satellites with more conservative capabilities to lower orbits relative to the original Starlink specification. SpaceX also received a major Starlink contract from the US Air Force Research Laboratory worth almost $29million (£22millino), $19.1M of which was dispersed to SpaceX in October 2018.